The painted scenes are by two different hands. One painter was responsible for the tray and saucer. These have scenes featuring Flora and Ceres, the goddesses associated with spring and summer. 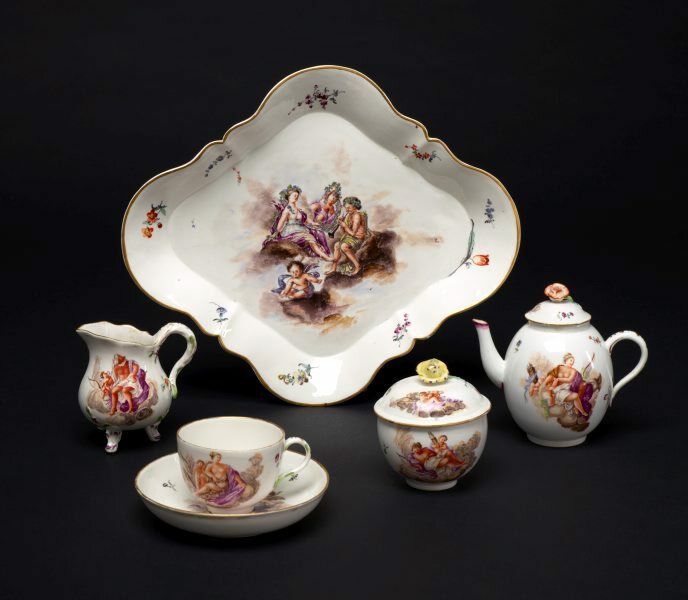 The second painter has produced scenes on the teapot, sugar bowl and cup which have unspecific gods and goddesses without identifying attributes.